Keeping your plumbing system in great condition is a major priority, but problems with your plumbing can occur at any time. Those problems can easily make your home less comfortable and even less sanitary, so it's important you have them repaired as soon as possible. At Franklin Plumbing & Drain Cleaning, we understand how important your plumbing system is to your home, and we're always ready and eager to provide high quality plumbing repairs. Our plumbers are licensed and trained professionals who can provide you with plumbing repairs in Columbia, SC and surrounding areas that are quick, thorough, and accurate. We'll do whatever it takes to make sure that your plumbing system is always totally reliable. 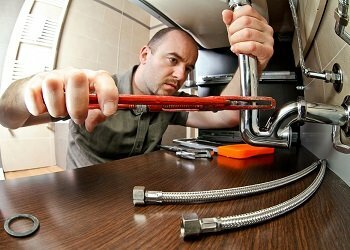 No matter how small or large the repairs you need are, you can depend on our plumbers to tackle the job. Call us today to schedule your plumbing repairs, and we'll be looking forward to assisting you. Our expert plumbers all have extensive training and experience, so no matter what kinds of problems you have with your plumbing system, we'll be able to get the job done. We'll quickly diagnose the issue, then we'll make sure that it's thoroughly repaired. Rather than simply treating the most apparent symptoms of the problems your plumbing system has, our plumbing services team always finds the root cause of the problems. This guarantees that the problems won't crop up again, and that your plumbing system will be more efficient and effective. Any part of your plumbing system could develop problems at any time, and you won't always be able to wait for a scheduled appointment to have them repaired. Our professional plumbers are available 24/7 for emergency repairs, and we'll always be ready to take care of any repairs you may need. You need every part of your plumbing system to function well if your home is going to be kept as comfortable as possible, and you can rely on our professionals for excellent repairs whenever you need them. For quality plumbing repairs in Columbia, SC and the surrounding areas, please call Franklin Plumbing & Drain Cleaning at 803-799-2222 or complete our online request form.